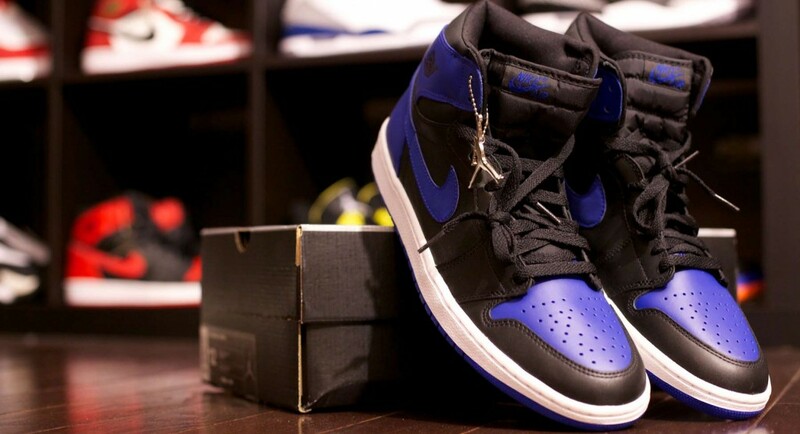 The Air Jordan 1 is the most significant sneaker in modern day sneaker culture. It is literally the sneaker that started it all. The Air Jordan 1 has achieved several significant milestones throughout it’s 30 year history and despite the fact that the sneaker has not changed much since 1985, year after the year, the Air Jordan 1 remains one of the most innovative sneakers for reasons that go far beyond modern technological advancements. As we wind down the 30th anniversary of the iconic sneaker and look forward to the “Cyber Monday” release, we are taking a look at 20 of the most significant moments in the history of the Air Jordan 1. There is no better place to start than at the beginning and the Air Jordan 1 Hi “Black/Red” is not only the Air Jordan 1 that started it all for the Air Jordan line, but also the sneaker that helped start modern sneaker culture. The sneaker was so far ahead of it’s time from a color standpoint that the NBA banned the sneaker from the professional court and Michael Jordan was fined for wearing it as it was considered “too colorful” at the time. Nike added more white to the sneaker to create the Air Jordan 1 Hi “Chicago” which went on to become one of the most iconic colorways of the Air Jordan 1. While many sneakerheads harp on Jordan Brand for dropping several non-Bulls colorways of the same sneaker throughout the year, every year, the fact of the matter is, this began with the Air Jordan 1 back in 1985. In addition to the classic “Chicago” inspired colorways of the Air Jordan 1, Nike released several “Metallic” colorways of the sneaker that, for the most part, had nothing to do with the Bulls. 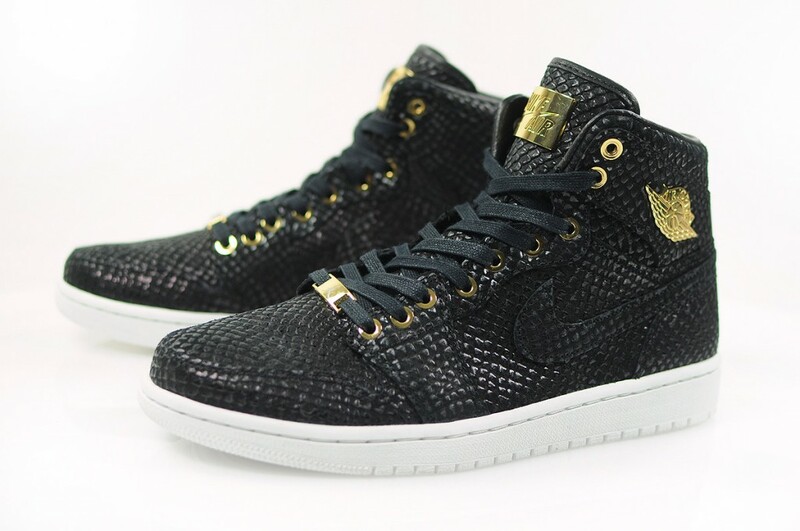 In addition to the “Metallic” high tops, Jordan released “Metallic” low top versions of the Air Jordan 1 as well. Despite the fact that the sneaker has released several times recently, to this day, 30 years later, not much is known about the mysterious AJKO. 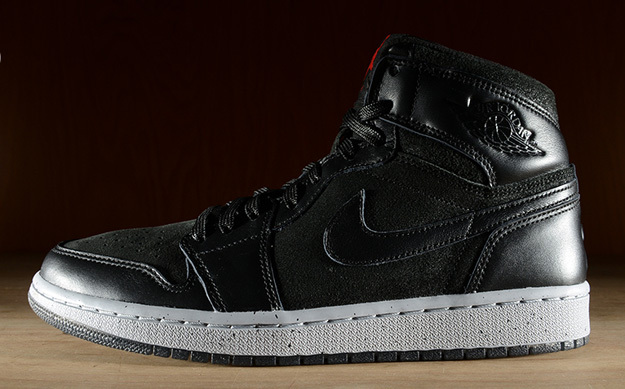 The canvas clad Air Jordan 1 originally released out of nowhere in limited amounts back in 1986. The addition of the canvas upper when the Basketball sneaker market had moved onto leather and away from canvas made it a strange release and an odd partner to traditional leather Air Jordan 1. After releasing the original Air Jordan 1 series, Nike quickly moved onto the Air Jordan 2 and beyond. Fast forward to 1994 and the Air Jordan 1 Hi made a quiet return to the sneaker scene. Although we didn’t know this back then, this return was just a small taste of what was to come from Jordan Brand’s new “retro” trend. The Air Jordan 1 Hi “Chicago” returned in 1994 alongside the “Black/Red” release but the colorway didn’t get the shine that it truly deserved until 1998. 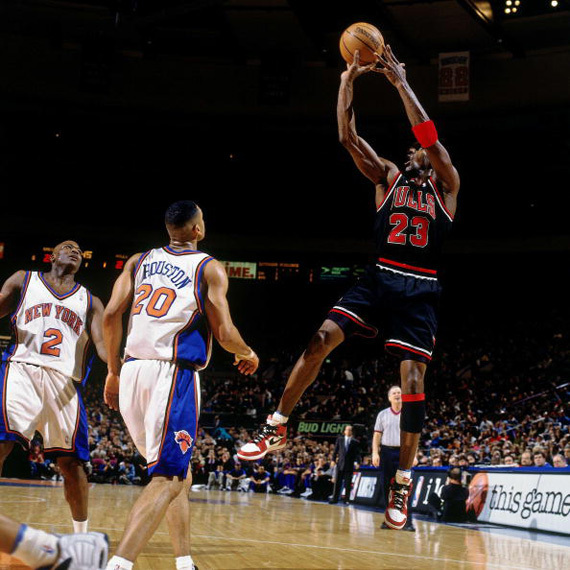 In what was dubbed Michael Jordan’s “Last Game” at the Mecca of Basketball Madison Square Garden, his Airness brought back the “Chicago” 1s for an historic performance that included dropping 42 points to dazzle the MSG crowd. Seven years after Nike tested the waters with their initial Air Jordan 1 Retro, the retro movement officially began in 2001. Jordan Brand dug back into their vault of original Air Jordan 1 colorways to bring back the Air Jordan 1 Hi “Royal.” A special colorway back in 1985, the “Royal” 1s were even more significant in 2001 as they helped signal the true beginning of the retro trend that will never end. 2001 played a very significant role in the future of the Jordan Brand as it laid the foundation for many of Jordan Brand’s traditions that still continue on to this day. 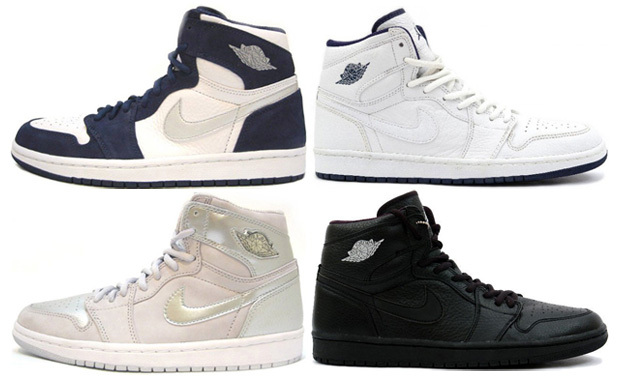 In 2001, Jordan Brand released their “Japan” pack of four Air Jordan 1 colorways. There were several key elements to this pack. 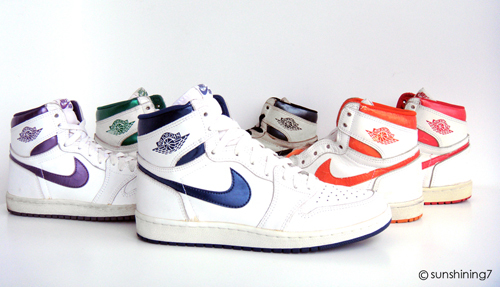 One, the pack marked the first time that Jordan introduced non-original colorways of the Jordan 1 to the market. Two, the “Japan” pack marked the first time that we would see a country exclusive Air Jordan 1. And three, Jordan Brand moved away from the traditional shoebox to house the releases in special briefcase-like packaging. Two years after Jordan Brand opened the floodgates to the retro movement, the brand began to tinker with the classic look of the Air Jordan 1. In an effort to bring more energy to the tried and true silhouette, Jordan Brand knocked off a couple inches from the top of the sneaker to create a more mid cut while also infusing patent leather onto the upper. The colorways stayed true to the OGs for the most part with “Chicago”, “UNC”, and “Black/Gold” renditions hitting the market. The Air Jordan 1 High officially joined Nike’s ongoing Doernbecher Freestyle collection in 2008 with Tony Taylor Jr.’s “Mr Boober” take on the classic sneaker. 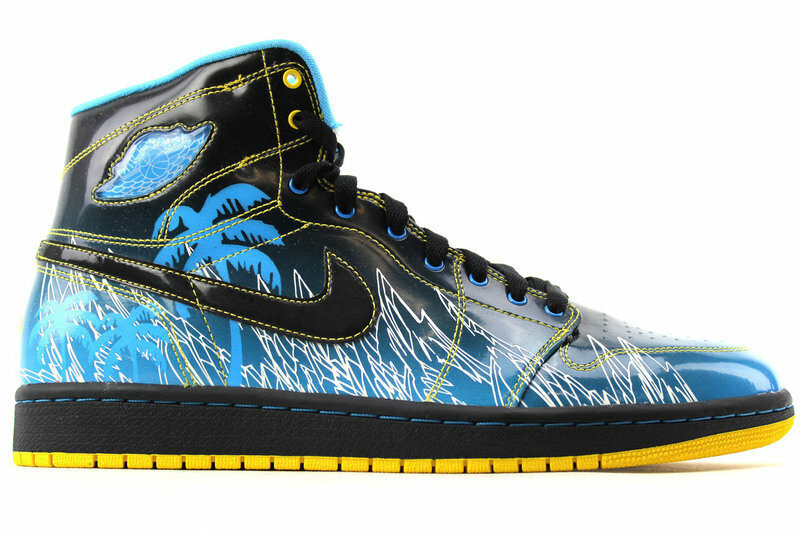 Taylor Jr. treated the Air Jordan 1 as a unique canvas as he dipped the sneaker in a full patent leather upper adorned with a palm tree graphic. Proceeds from the sales of the Air Jordan 1 DB went back to support the patients at the OHSU Doernbecher Children’s Hospital. For the first time in the brand’s history, Jordan Brand linked up with another major brand for a collaborative Air Jordan 1 project. The product of this collaborative effort was the Air Jordan 1 x Levis. 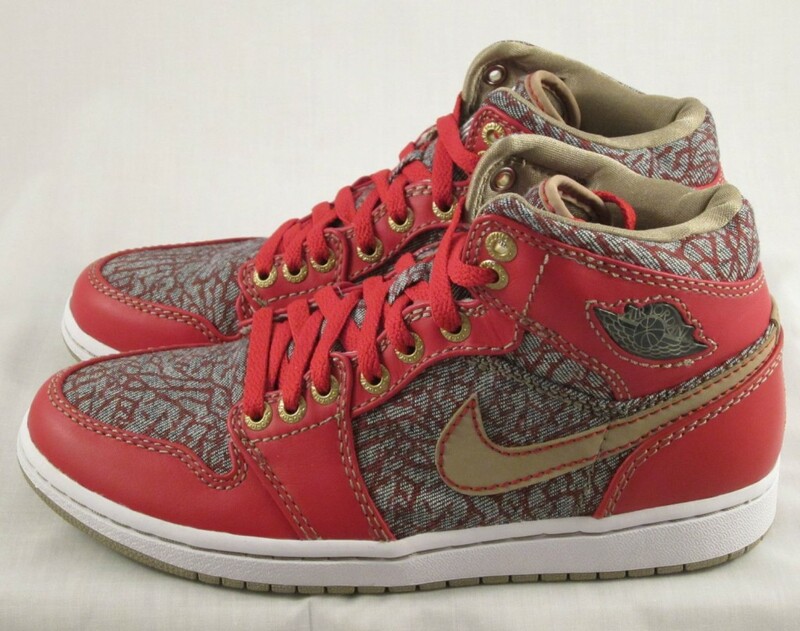 The sneaker took cues from both brands which included Jordan’s iconic elephant print done in Levis denim on the upper. In addition to the sneaker, Jordan and Levis release a pair of denim jeans as well. After working with Nike over the years, artist Dave White linked up with Jordan Brand in 2011 to put his spin on the Air Jordan 1 Hi. 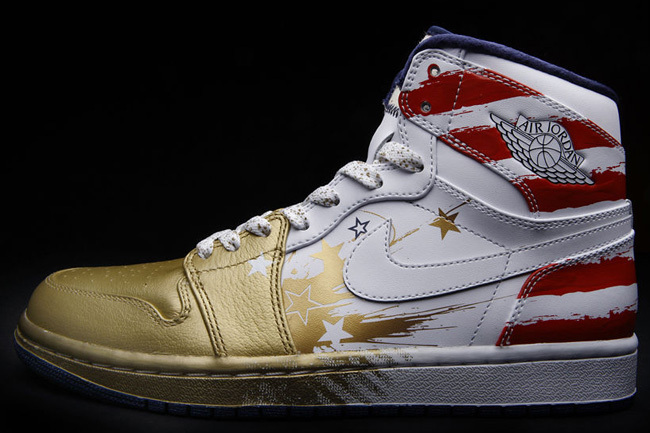 Done in support of Jordan Brand’s “Wings for the Future” program, White’s rendition featured a patriotic mix of red, white, blue, and gold. The sneaker was auctioned off during NBA All-Star weekend with the proceeds going back to the “Wings for the Future” program. Having achieved true icon status back in 1985, the “Black/Red” Air Jordan 1 Hi added to it’s legend in 2011 with the release of the “Banned” Air Jordan 1. 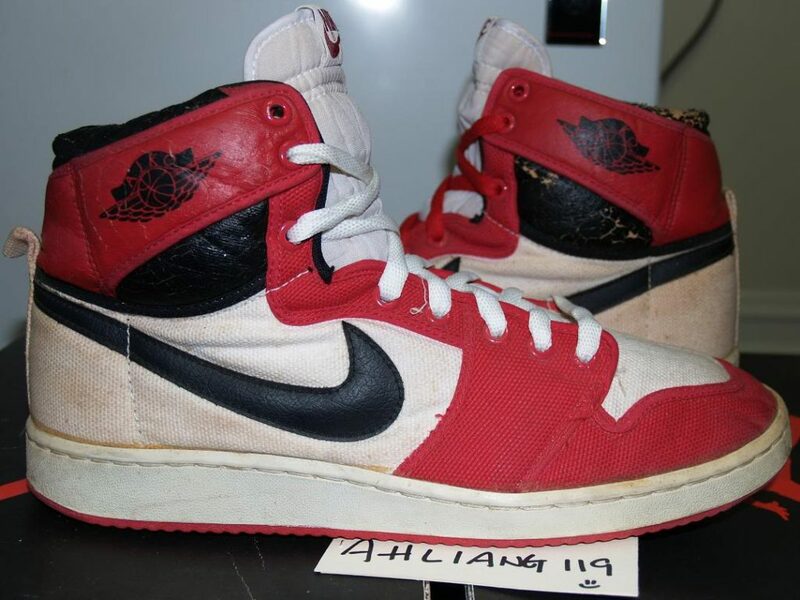 In one of the more interesting releases in the history of the sneakers, the “Banned” Air Jordan 1 was scrapped from a true retail release and was instead released at a select group of Nike outlet factory stores. The sneaker kept the look and feel of the OG with an added “X” on the heel to signify the sneaker’s banning from the NBA in 1985. 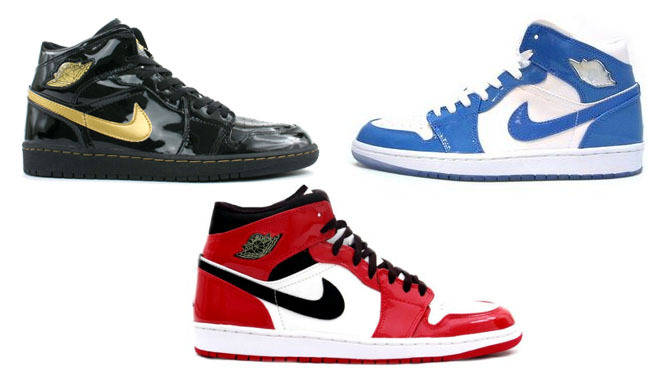 Despite dropping countless colorways of the Air Jordan 1 over the 12 years between 2001 and 2013, there were two one major differences between the 2001 retros and every Air Jordan 1 released after that year; the absence of Nike Air branding and the addition of the Jumpman on the heel. In 2013, Jordan finally decided to give the people what they wanted and the brand brought the Nike Air branding back to the Air Jordan 1 and removed the Jumpman on the heel in the process. 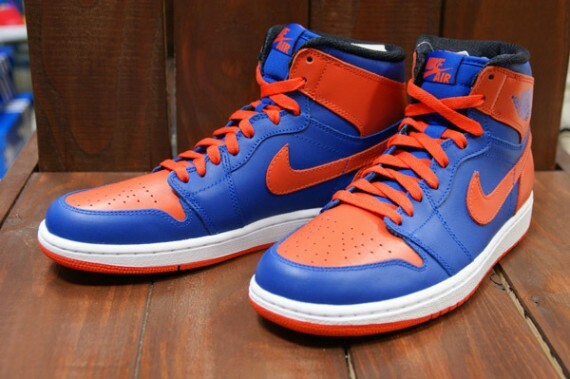 Melo’s Air Jordan 1 Hi “Knicks” helped re-introduce the Air Jordan 1 Hi OG. 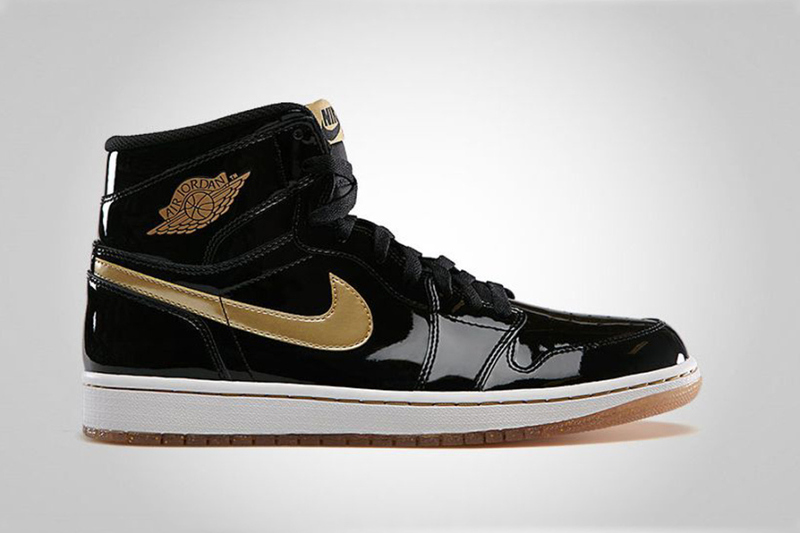 Originally released back in 2003 as part of the “Patent” pack, the black and gold colorway of the Air Jordan 1 had been elevated to iconic status over the years. In 2013, Jordan Brand brought the colorway back out but this time around, the colorway was given true OG status with a high top cut and Nike Air plus a translucent gum sole. 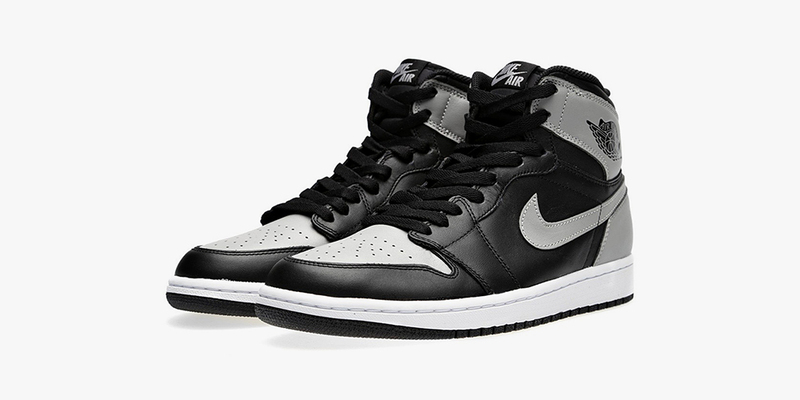 Having removed the Jumpman and adding “Nike Air” back to the Air Jordan 1, it was only right that Jordan Brand reached back into the archive to bring out the Air Jordan 1 Hi “Shadow” in 2013. Along with the “Metallic” series, the “Shadow” Air Jordan 1 was one of the least retroed colorways of the original Air Jordan 1 having re-released just once, and not in true OG form, in nearly 30 years. Kanye West’s manager, designer, and Chicago’s own Don C put his spin on the Air Jordan 1 in 2013 as part of Jordan Brand’s Black History Month celebration. Opting to go with a premium, fully blacked out design that told a Black History story through texture, Don C’s Air Jordan 1 was auctioned off in support of the Big Brothers and Big Sisters Association Of America. 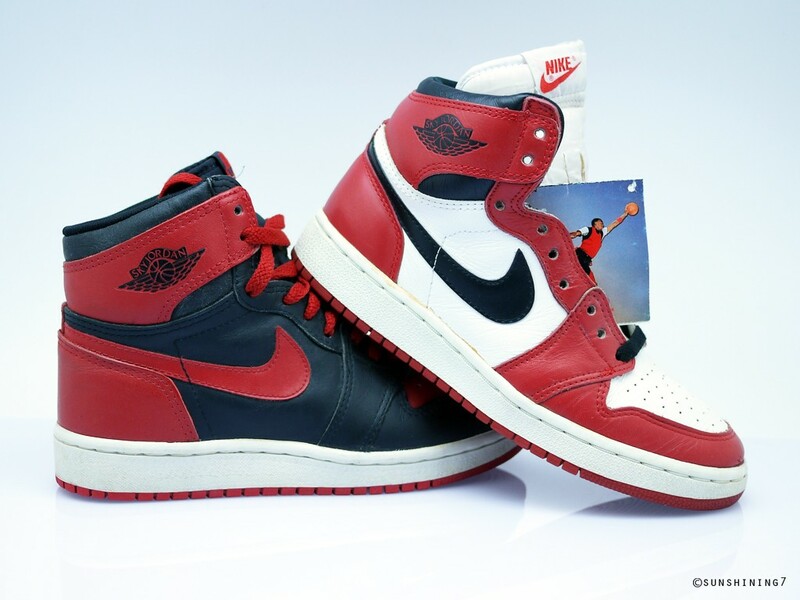 Only 37 pairs of the sneaker were created. Dating back to 1985, the skate community has always gravitated to the Air Jordan 1 as a grippy and flat option to skate in. In 2014, Jordan and Nike SB came together to tell that story through three separate collaborations, one with artist Craig Stecyk and two with skater Lance Mountain. Stecyk’s rendition paid tribute to the skate scene in 1982 and Mountain’s renditions paid tribute to the original Air Jordan 1s. Jordan Brand officially entered the brick and mortar retail market in 2014 with a retail space in New York City. To celebrate the milestone, Jordan Brand linked up with design label Public School to create the “PSNY” Air Jordan 1. The “PSNY” Air Jordan 1 was later transformed into the “23NY” Air Jordan 1 for a limited release at Jordan Brand’s new retail location. In celebration of the Air Jordan 1 Hi’s upcoming 30th anniversary, Jordan Brand linked up with Hiroshi Fujiwara’s Fragment Design to help introduce the Air Jordan 1 “Remastered” line. 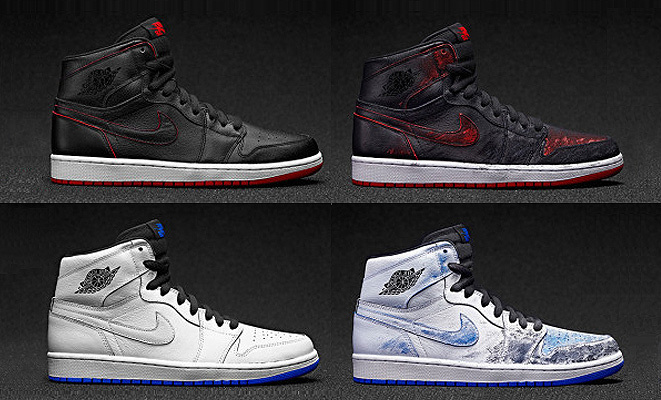 The “Remastered” line of Air Jordan 1s brought high quality materials back to the Air Jordan 1. 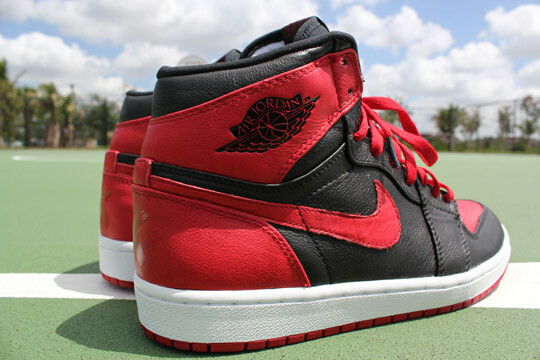 The newly remastered materials were reminiscent of the materials used on the original 1985 Air Jordan 1. 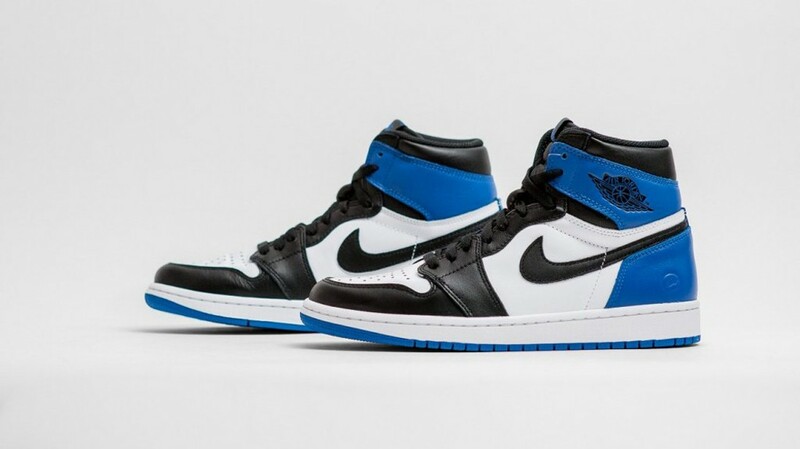 Fragment’s design paid tribute to the original “Royal” and “Black Toe” Air Jordan 1s. Because of it’s simple and minimal aesthetic, the Air Jordan 1 possesses an understated look that is similar to high end footwear. 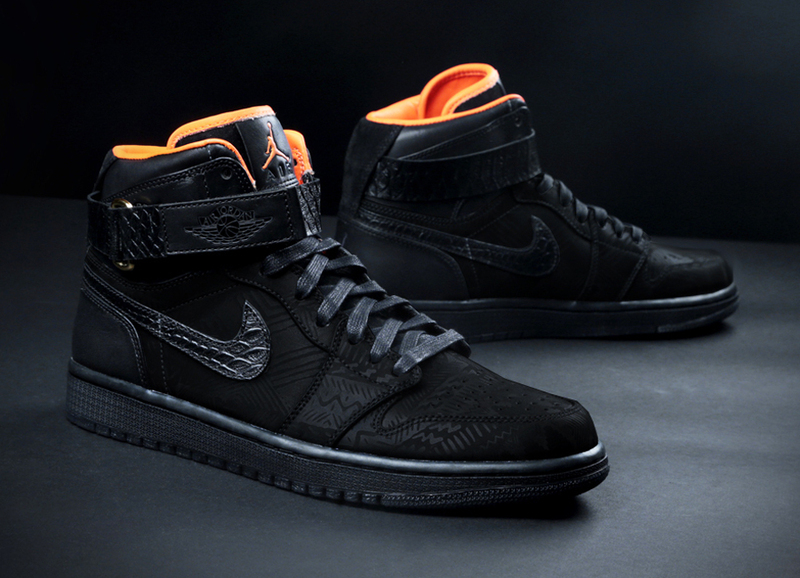 Having “remastered” the Air Jordan 1 in 2014, Jordan Brand went full luxury in 2015 with the Air Jordan 1 Hi Pinnacle. The Pinnacle version of the sneaker incorporated higher end leathers and materials and an equally higher end price tag of $400.